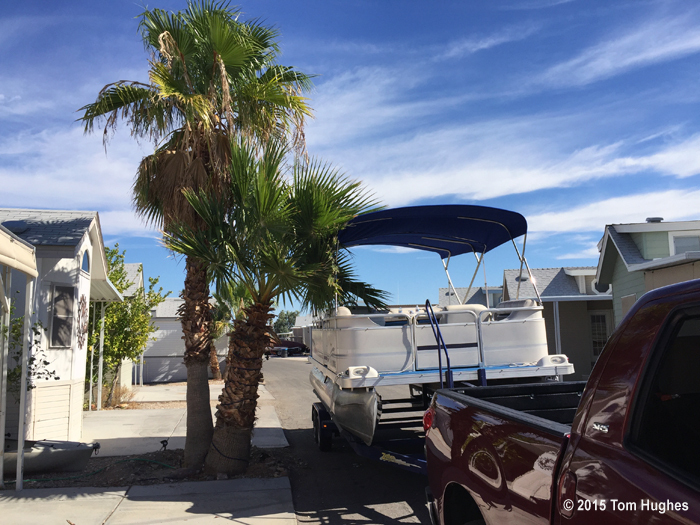 We spent 3-days last week at our park model in Lake Havasu City. We spent a lot of the time cleaning the place and getting it ready for when we return at the end of the month. But thank god that a neighbor friend of ours had just purchased a pontoon boat so we had some time off and a great boat ride.